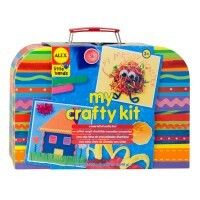 Create your first art collages with this Alex Toys deluxe craft kit for toddlers. 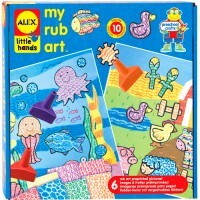 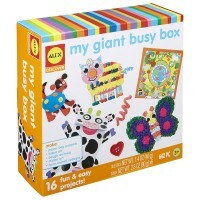 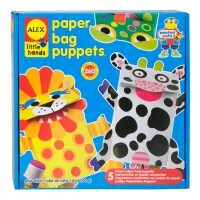 This arts & crafts kit from Alex Jr. toy collection will inspire any toddler or preschool artist to create! 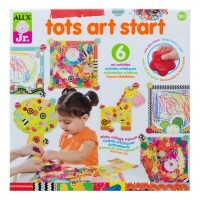 Tots Art Gallery Toddler Craft Kit by Alex Toys is an art-portfolio shaped craft kit for the youngest kids. 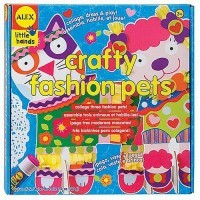 With the art supplies and craft materials from this toddler craft kit children can make 12 simple and fun art projects. 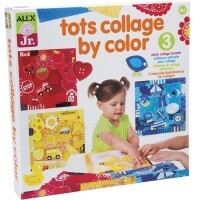 Toddlers will love to scribble, peel & stick, collage, plus learn shapes and colors. The finished works of art can be neatly stored in the art portfolio. 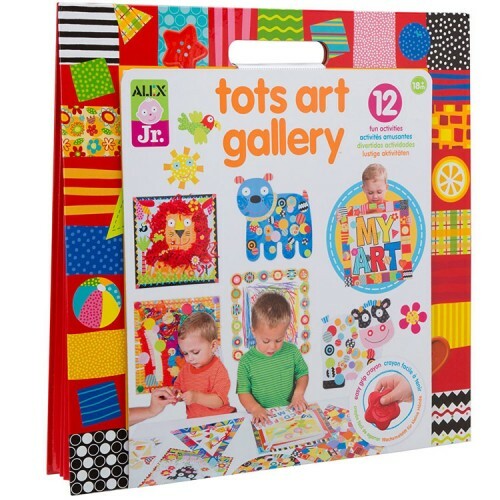 Tots Art Gallery Toddler Craft Kit includes 3 collage-by shape peel & stick boards, 2 pre-printed paper frames, 6 easy-grip crayons for scribbling, 2 shredded tissue peel & stick activities, 3 sticker pictures, 2 peel & stick collage boards with lots of doilies, tissue, crepe, corrugated and colored papers, stickers, googly eyes, buttons and craft instructions for parents. 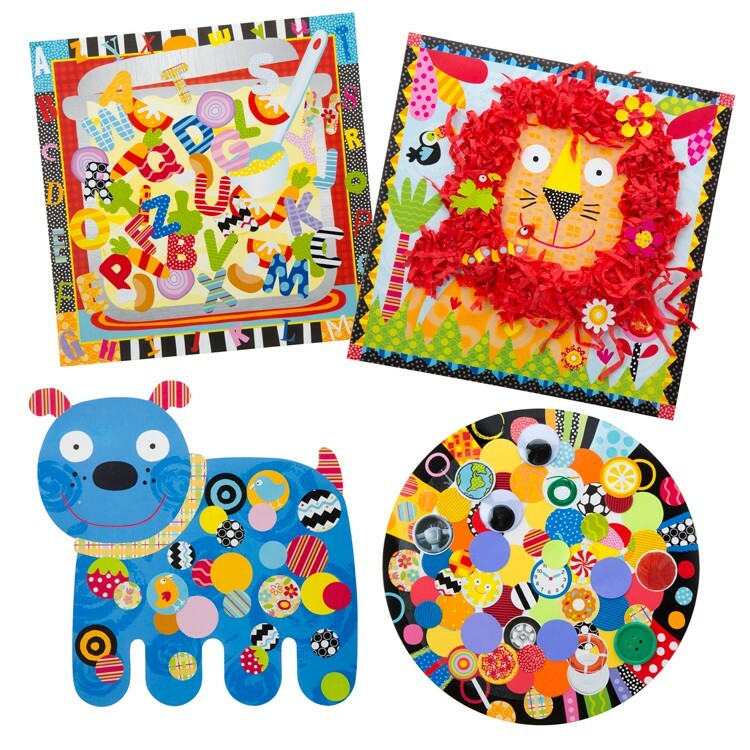 Designed for the little hands, this art toy from Educational Toys Planet is a perfect first craft kit for the youngest artists! 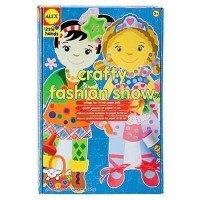 Dimensions of package 15" x 15" x 2.3"
Write your own review of Tots Art Gallery Toddler Craft Kit.